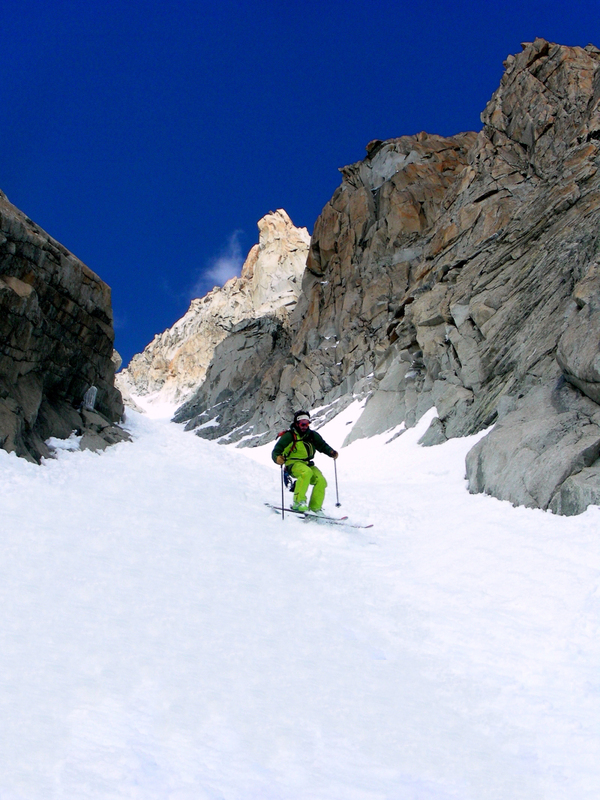 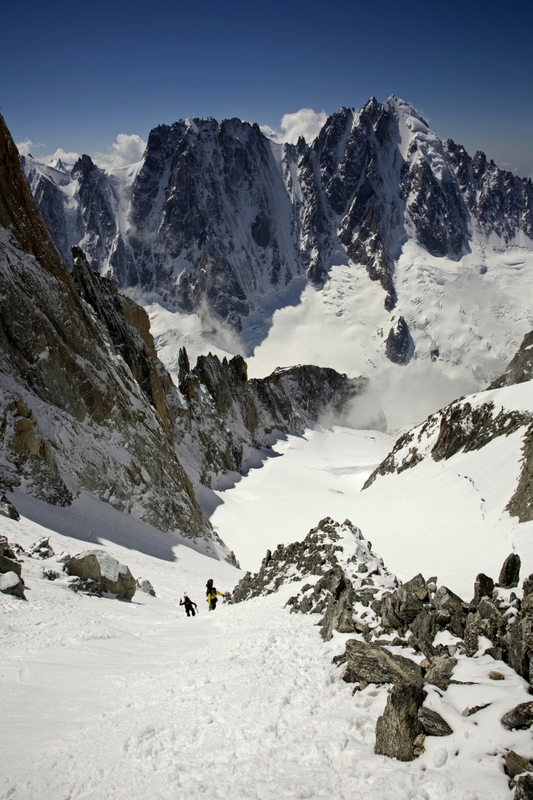 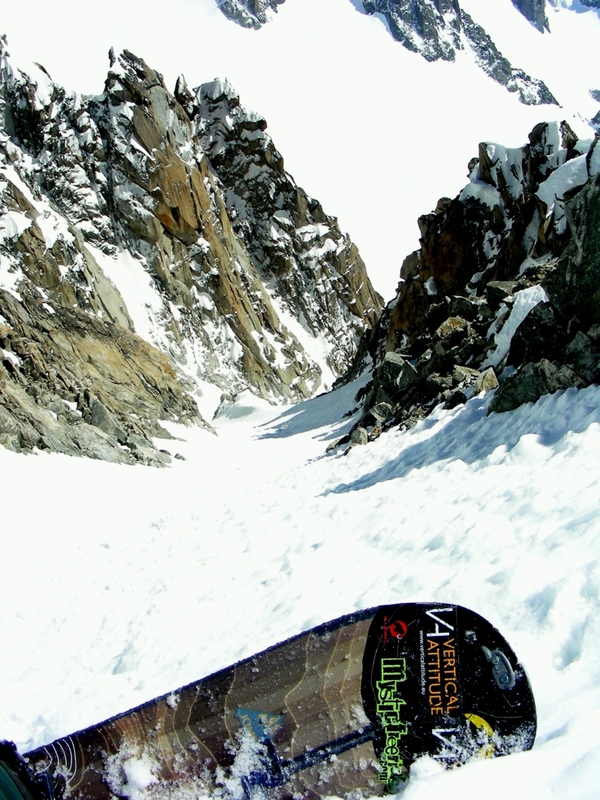 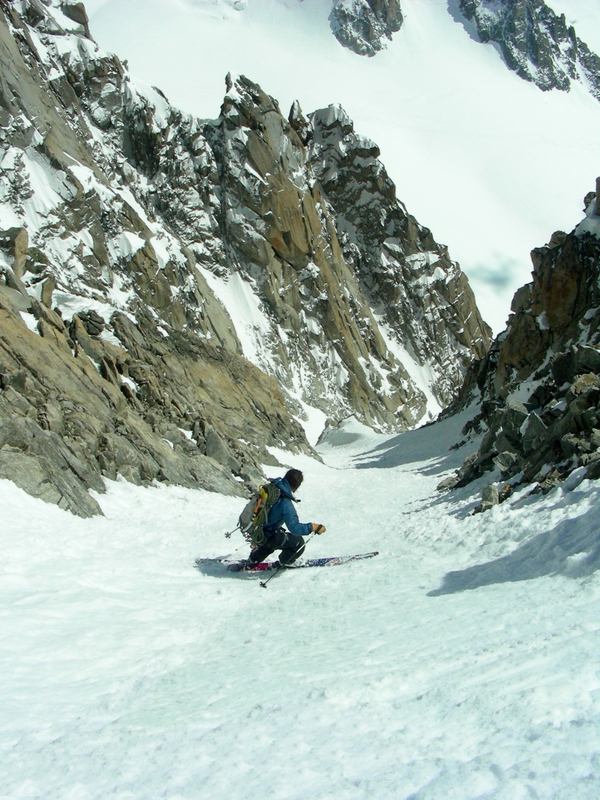 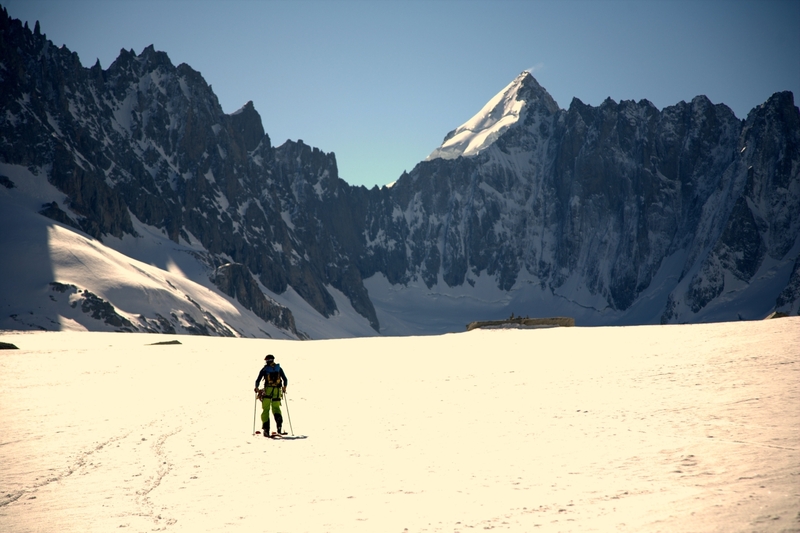 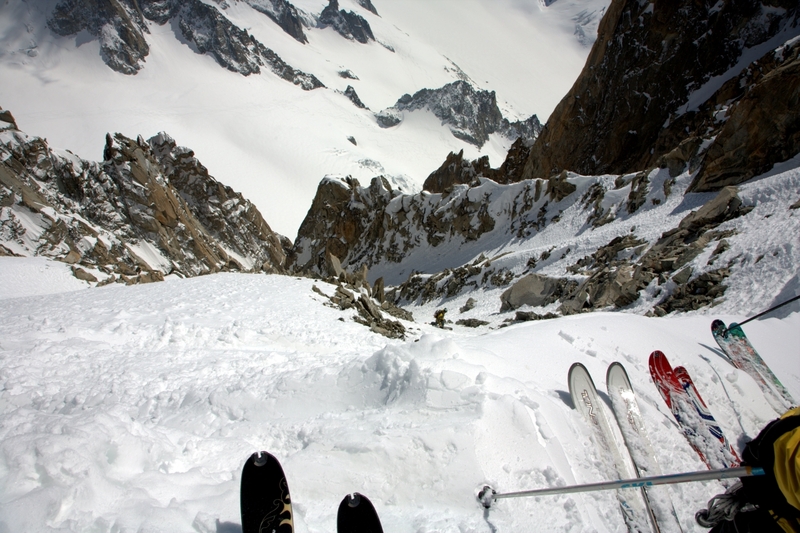 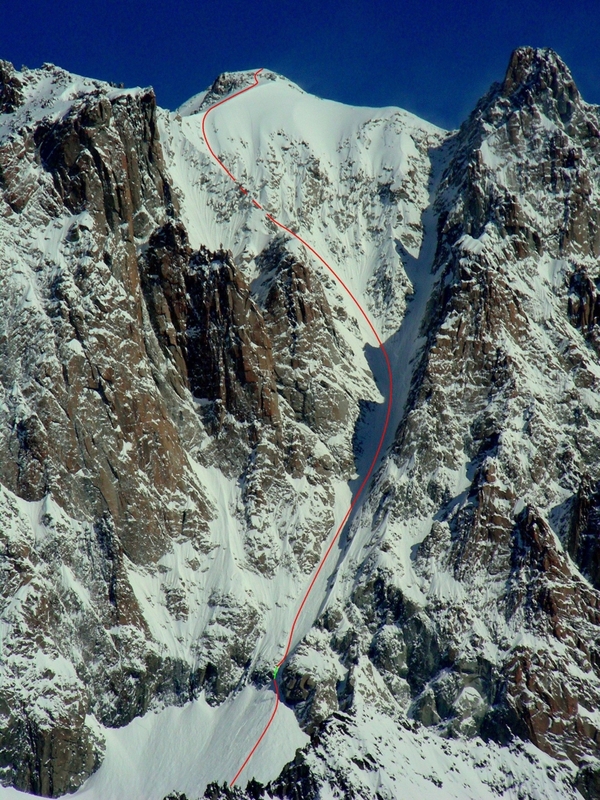 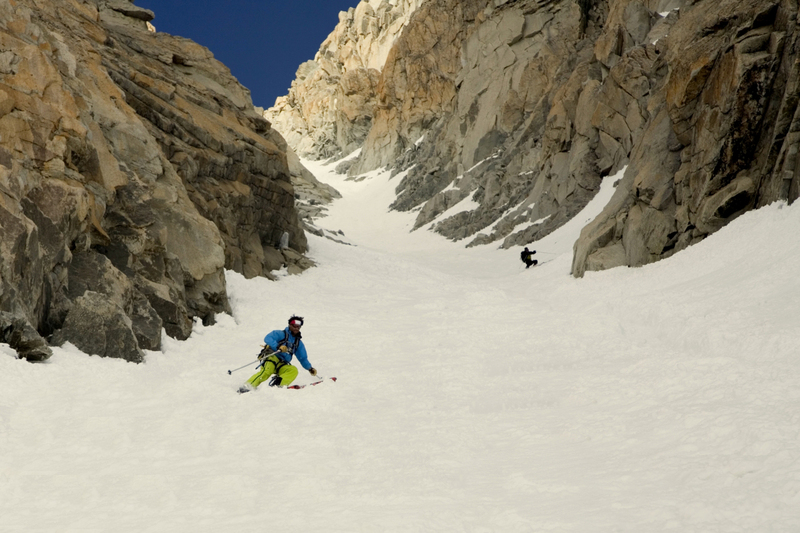 The Y couloir is a beautiful line on the south face of the Aiguille d’Argentiere. 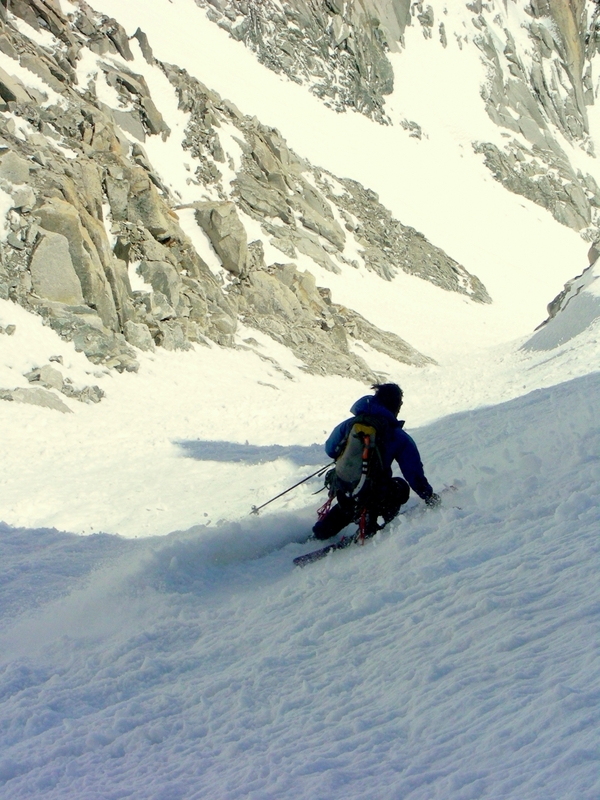 With over a week of high pressure locally, south faces were the only lines in good condition. 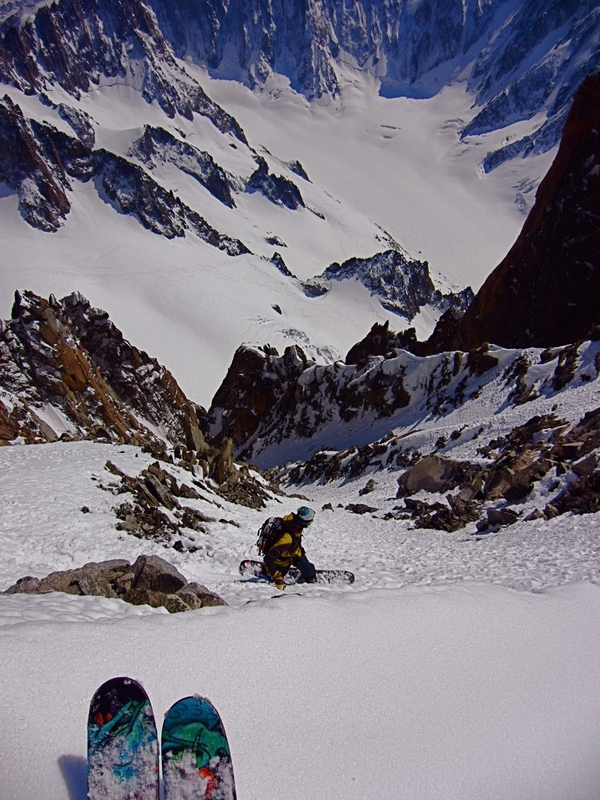 Although i’d been a bit ill for a day I didnt want to lose the chance to share a great day on the mountain with my friend Eduardo Blanchard Wigglelsworth IV who was visiting from the States and looking forward to ski some steep lines. 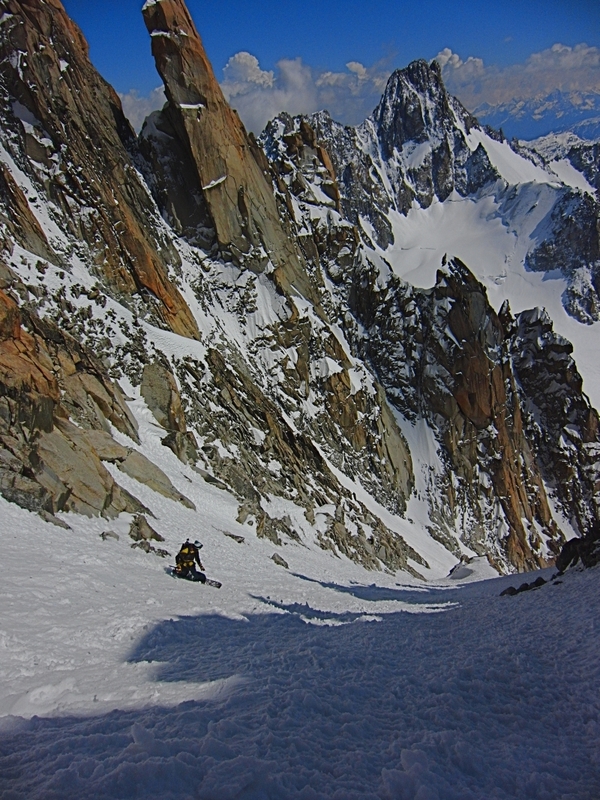 It was a very hot day and we hiked and climbed up the “Glacier du Milieu” to reach the summit of the Aiguille d’Argentiere from where we dropped into the Y couloir. 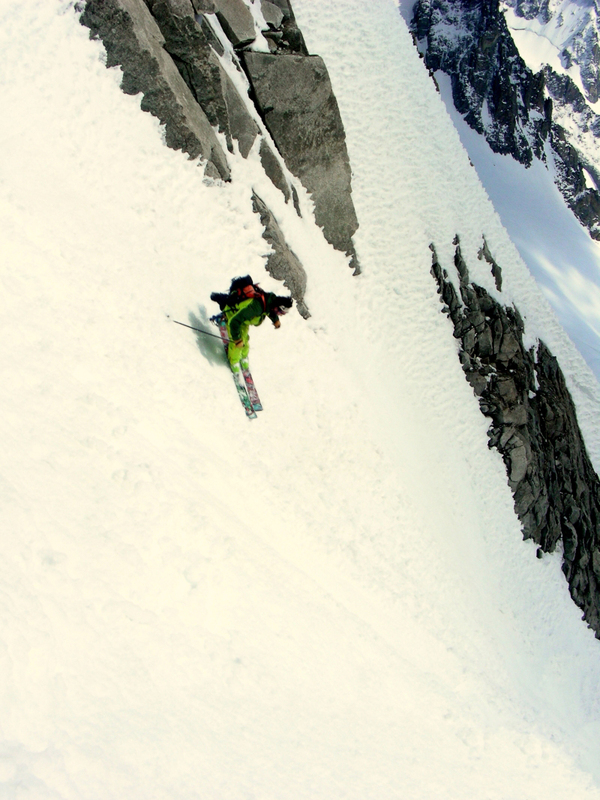 The snow was pretty weird but still really fun to ski. 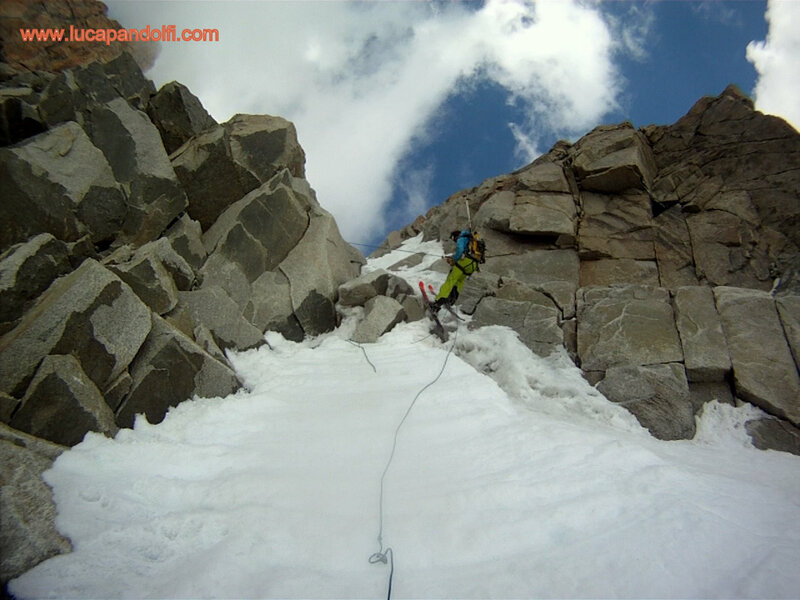 We shared the descent with the Finnish team Sami & Sami whom we’d met at the top and used the rope to pass the 20m of ice and the rocky step at the bottom.